On April 10, 2018, The Lambs’ Council has initiated a bonus for current members who sponsor a new member. Each sponsor will recieved a $50 credit toward the next year’s dues. Sponsor two members in 2018, in 2019 your dues will be reduced $100. The credit will be added to your dues account when the new member is fully paid. Sponsor 5 members – get $250 ….hey, sponsor enough members your 2019 dues might be free! 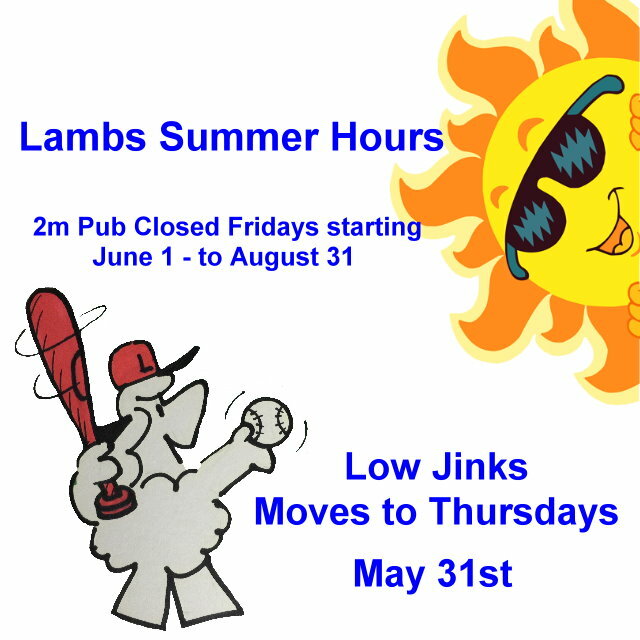 Please note: the 3 West pub will be closing Fridays for the summer, starting with Friday June 1st.